If you’ve been dreaming of a wedding built quite literally from the ground up around your every desire, marquee weddings tick all the right boxes. Now more than ever, discerning couples (and wedding planners alike) are turning to marquee-hire firms to breathe life into their wildest dreams. And it’s pretty safe to say that once you have experienced a marquee wedding personally, quite simply nothing else comes close! 1. From the Ground Up. 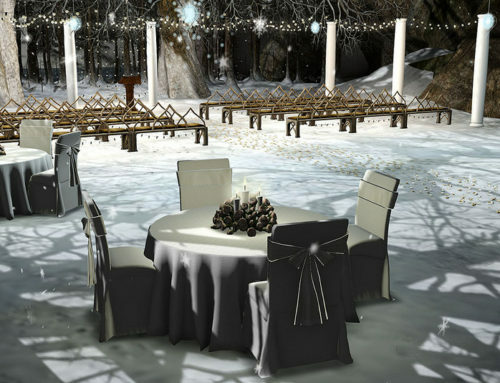 As already mentioned, a marquee wedding is built 100% around you and your desires – right from the very flooring itself! From elegant carpeting to light-up dance floors, quite literally anything goes! 2. Flexible layout. With standard indoor wedding venues, you are somewhat limited in terms of the way the rooms and the building itself are laid out. With a marquee wedding however, you can create your own ideal layout and section off as many areas for as many purposes as you like. 3. Size. 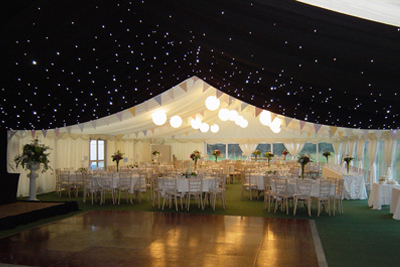 Contrary to popular belief, marquee weddings are not only suited to enormous guest contingencies. 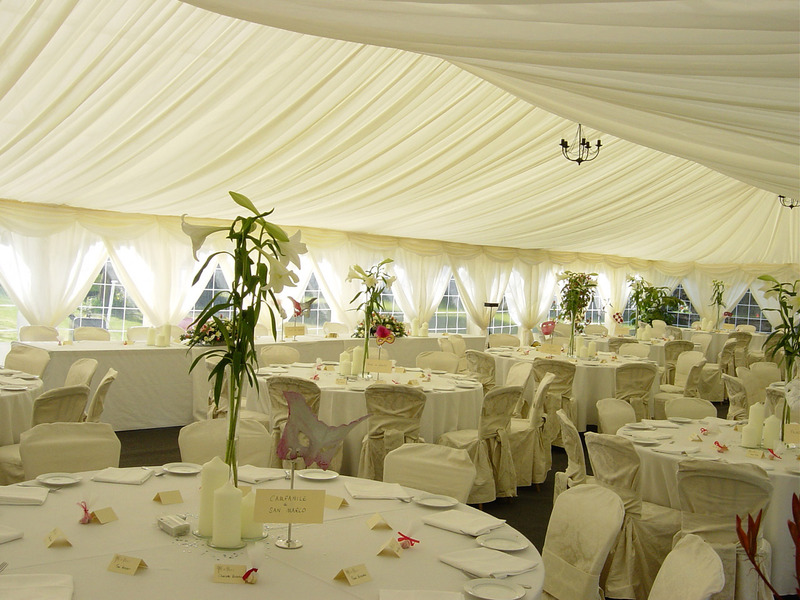 In fact, it’s perfectly possible to hire a wedding marquee for anything from 10 guests to well over 1,000 guests. 4. Value for money. 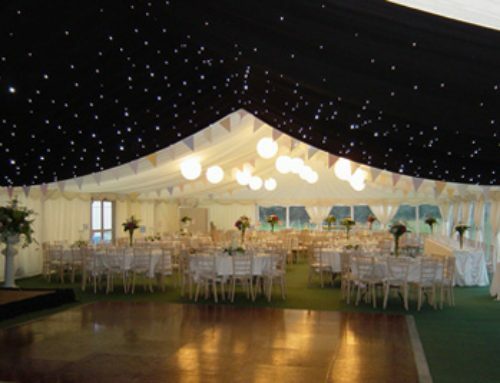 More often than not, wedding marquee hire costs significantly less than arranging a standard indoor wedding at a venue of equal quality and prestige. And given the fact that the whole event is exponentially more enjoyable, there is simply no disputing the incredible value for money on offer! 5. Scenery. To choose a marquee wedding is to open up quite literally limitless opportunities with regard to where the event can take place. Choose a beautiful countryside location, a wonderful coastal hideaway or anywhere else with the kind of backdrop that is simply breathtaking. 6. Year-Round Availability. Though traditionally associated with spring and summer weddings, marquee weddings are quite simply fantastic at any time of the year. Even in the middle of winter, the beauty, flexibility and incomparable coziness of a marquee wedding can be enchanting on an entirely higher level. 7. Flexible Furniture. There’s also much to be said for the flexibility of a marquee wedding with regard to furniture. More often than not, you will have limitless freedom of choice when it comes to the tables, chairs, fittings, fixtures and even the lighting – all allowing you to create your dream wedding without compromise. 8. Service Provision. It’s also worth remembering that when arranging an indoor wedding reception at a restaurant, hotel or any of the usual establishments, you have no choice but to go with their own catering and service staff. With a marquee wedding by contrast, you are free to choose your own service providers, create your own menus from scratch and so on. 9. Curfew. In most instances, it will be up to you and you alone to decide when and where the party comes to an end with a marquee wedding. This is not always the case with many standard indoor venues which have their own set curfews and closing times. 10. The Total Package. 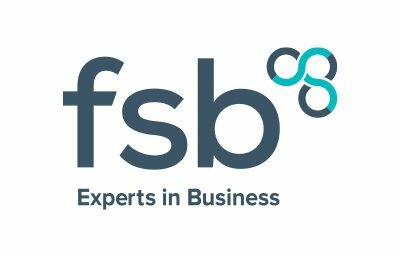 Last but not least, it is perfectly possible if preferred to have the company supplying the marquee to organise absolutely every other element of the event. So rather than shopping around and dealing with any number of service providers, everything is taken care of under one roof and via one point of contact.